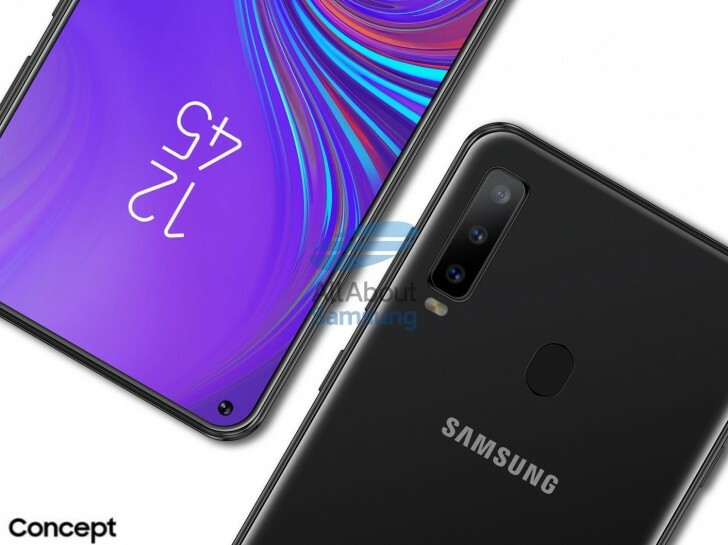 Renders of Samsung's upcoming Galaxy A8s have surfaced, showing a device with three rear cameras and a notch solution that we will likely also see on the Galaxy S10 next year. It’s probably getting a bit hard to keep up with the onslaught of Galaxy S10 news. The next-gen Samsung flagship is poised to be one of the most interesting smartphone launches in recent times—or at least it would be if there weren’t daily leaks. While we’ve not actually gotten any trustworthy renders or leaks of the S10, the company is set to release its new Galaxy A8s, and the renders of that device tell us a lot. Samsung’s Galaxy A series plays host to the company’s sub-premium phones. Traditionally, features from the S flagship line have made their way to the A-Line after a few months, but it would seem that the reverse will be the case this year. We’ve already seen a triple rear camera A8 and a quad rear camera A9—almost ridiculous when one considers the fact that the Galaxy S9 features just one rear camera. 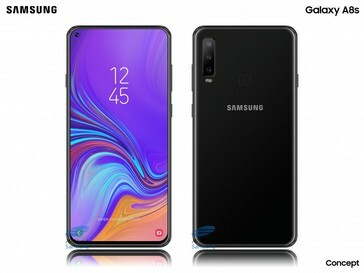 In the same vein, the A8s will apparently be the first device to sport Samsung’s Infinity O display, the same technology that has been all but confirmed to also be seen on the S10. The Infinity O display is the company’s attempt at continuing down its bezel-less path, without succumbing to the current notch trend. Images of the A8s show the device with a tiny circular cutout at the top left corner. The cutout is said to house both the front camera and the ambient light sensor. Considering how inconspicuous it is, it’s a bit hard to argue with the opinion that it’s much better than the notches we’ve seen so far. At the back of the A8s are three cameras and a fingerprint sensor. At least one S10 model will keep the tri-rear camera layout but we don't expect to see a traditional fingerprint sensor on the flagships, with Samsung opting for an in-display one instead.